Get up and Get Active – at least 30 minutes for several days per week or try to incorporate some physical activity in your daily commute. Small lifestyle changes, like choosing active transportation, can have huge health benefits. Being active doesn’t need to be time set aside for exercising. You can easily add active time to your day by choosing to walk or bike rather than drive for short trips, walk during your lunch break, or taking the stairs instead of the elevator. 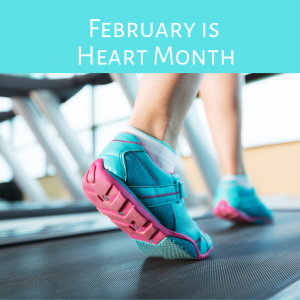 Walking to the bus stop or from a distant parking spot to the station counts too—and it all adds up to better heart health! – Shortness of breath with without chest pressure, fullness, squeezing or pain in the chest that is intermittent or lasts for a few minutes. The typical heart attack symptoms in men are chest pain, chest discomfort or pressure. Other less common symptoms include discomfort in arms, jaw, neck, back, or stomach, nausea/vomiting, lightheadedness, and shortness of breath. If you or someone you are with experiences the symptoms of a heart attack, call 911 right away. Do not drive yourself or someone else to the hospital unless you have no other options. Emergency medical services are equipped to treat the victim on the way to the hospital. If you experience symptoms, pull over in a safe area, call 911 immediately. Don’t drive yourself to the hospital unless that is the only way to get help. While these actions help, they will not stop a heart attack. Your safest bet is to get to a hospital as soon as possible.